Checking out the Freebie Friday list on MomAdvice.com is just a whole lot of fun for us moms! We get a few great freebies in only a few minutes. What’s my favorite freebie this week? Another free movie from Redbox! Makes me think you should never pay to rent a movie ever again, because Amy will hook you up with free ones almost every week! MomAdvice.com has become a great resource for me to try new recipes (like these Spiced Pumpkin Waffles that I’ll be making on my weekend Mothers & More retreat in Galveston). Are you a blogger? Get some blogging tips from Amy, she’s an expert and delivers technical and marketing advice in a mom-friendly way that you can understand. Do you send letters to any college students? I’ll be sending these “College Coupons” to my sister! 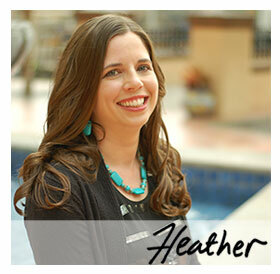 Wow, thanks, Heather! I hope you enjoy the recipe and the printable.How did I not know that you are part of Mothers & More too. I have been a member for four years now in our local chapter. We will have to compare notes on what our chapters are up to.Have a great weekend and thanks for all of your help today on the freebies!